The researchers have published in the Journal of Clinical Oncology in 2003 that lavender oil has some calming effects on nerves and skin. Acne, which is the result of stress, tension, can be removed with the help of lavender oil. Though there are many pharmaceutical products for treating acne, you may apply lavender oil as a natural remedy for acne. This article will tell you about how to use lavender oil for acne. 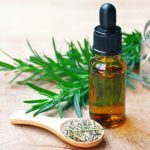 What Does Lavender oil do for Acne? Due to its anti-inflammatory property, lavender oil reduces inflammation and swelling of the skin. Due to its antiseptic property, lavender oil kills the bacteria causing acne. It acts as a moisturizer and moisturizes dry skin. Lavender oil can be used directly to the skin or it can be combined with other natural ingredients in order to reduce acne scars. 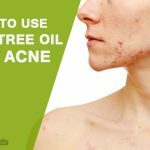 Tea tree oil is an effective home remedy for acne. Due to its antiseptic and antimicrobial properties, tea tree oil reduces infection on skin and removes acne scars. How it works: this combined oil is a good moisturizer and penetrates deep into the skin. 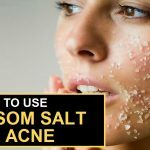 It unclogs the pores, disinfects the pores and reduces acne. Best time to apply: morning, evening. Tips: 12 hours gap is necessary between two subsequent treatments for acne. Witch hazel is a natural ingredient, which reduces skin irritations and inflammation, minimizes excess oil, decreases redness and makes skin clean and refreshed. Thus it removes acne. How it works: this mixture tightens large pores, keeps skin free from excess oil, prevents clogged up pores and disinfects skin. The lauric acid present in coconut oil kills bacteria causing acne. It acts as an excellent moisturizer, which moisturizes the skin and reduces acne scars. How it works: This mixture has anti-inflammatory property and therefore it reduces inflammation. Its anti-bacterial property kills bacteria causing acne scars. Jojoba oil has anti-bacterial property and therefore it kills the bacteria causing acne. It is deep cleansing in nature and it unclogs pores, pushes out the dirt and removes dead skin cells. How it works: This mixture has anti-inflammatory, anti-viral, anti-bacterial properties. In addition, it moisturizes the skin and heals the affected skin rapidly. It thus removes acne scars. While using lavender oil, you must follow few precautions. Never ingest lavender oil. Lavender oil may cause allergic reactions and skin irritation to skin. Don’t apply lavender oil to the sensitive areas like eyes, lips etc. If you apply lavender oil to acne cautiously, then definitely you will get a good result. 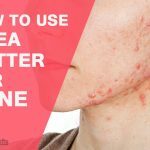 How to Get Rid of Acne with Aloe Vera? Acne, which is the result of stress, tension, can be removed with the help of lavender oil. 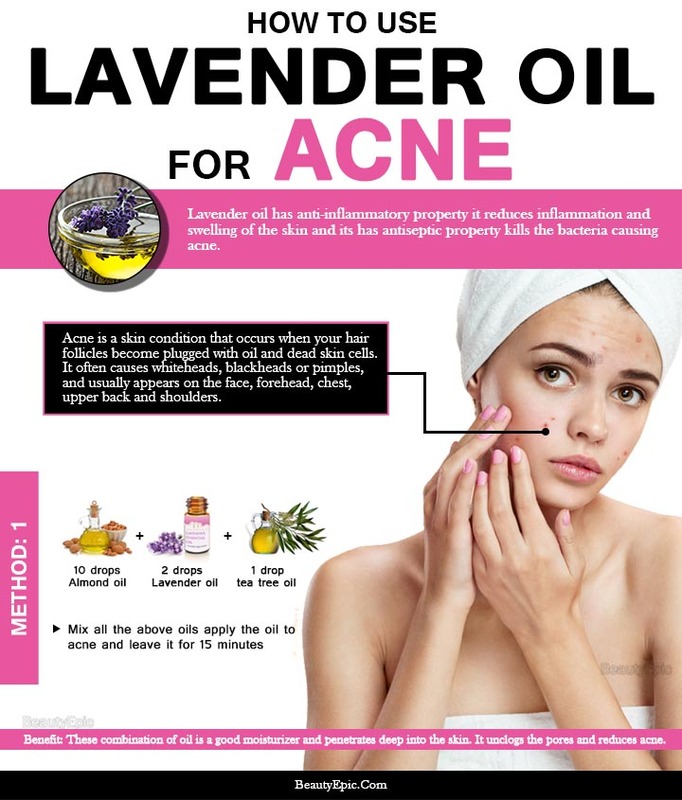 This article will tell you how to use lavender oil for acne.